Prime Minister Hun Sen contracted the A(H1N1) influenza virus late last week, and five other government officials – including a deputy prime minister and two senior ministers – have since exhibited signs of it, according to a statement issued Tuesday by Health Minister Mam Bunheng. According to the statement, Hun Sen was likely exposed to the virus, commonly known as swine flu, during or immediately after a meeting at the Council of Ministers last Friday. 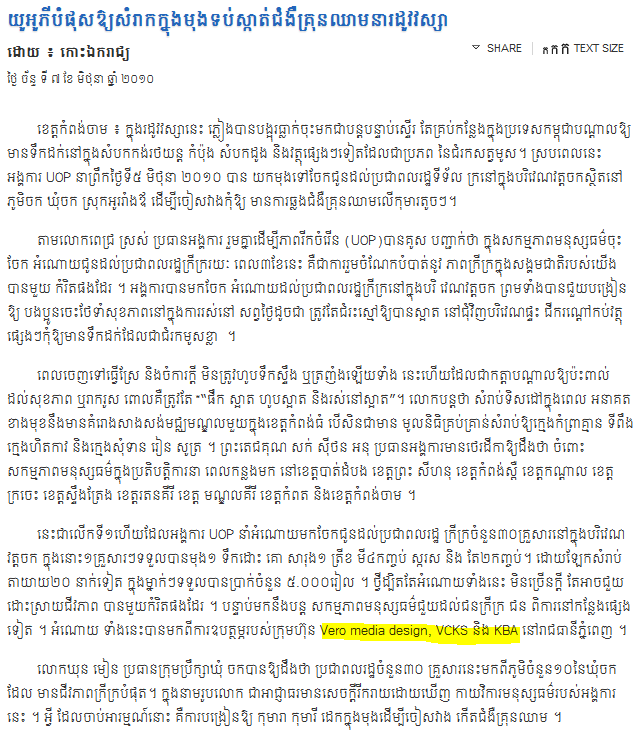 He has since received treatment from “very professional Cambodian doctors”, and “the health of Samdech is recovering”, the statement reads. It goes on to say that tests conducted on all officials who attended Friday’s meeting have revealed “the positive sign of AH1N1” in five officials: deputy prime minister Yim Chhai Ly, senior ministers Chhay Than and Tao Seng Hour and officials Kim Ith and Ith Mith. 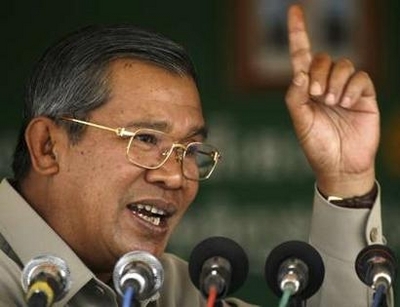 The virus caused Hun Sen to miss Monday’s celebrations marking the 59th anniversary of the Cambodian People’s Party, and “some programmes of Samdech were also cancelled”, according to the statement. Council of Ministers spokesman Phay Siphan said Tuesday that he could not provide any information beyond what was included in the statement. About a decade ago no one in Cambodia even know what golf really is, some who have seen golf on TV would have said “how do people getting fun from playing golf?” and “what the point of swinging the stick back and fore for?”, there was always questions around about golf when they hit Sport channel while randomly switching Channel. In 1996 when the first time TV cable was launched in Cambodia everyone was excited to see the world before that Cambodian people only can watch three local channels from 11.00am to 9.00pm everyday almost the same thing appeared on the TV, by the time Cable TV first launched only foreigner, rich people, restaurants, and some coffee shop that have TV cable installed for their facilities so the easiest way to watch sport channel is to go to street coffee shop by spending 1000rel which is 20cent USD you can watch TV cable for hours. At the beginning of 1998, there was few places offer driving-rang facilities mainly to served foreigner and tourist. Not long after that there was golf field open for business located far north of Phnom Penh City and the price was expansive $USD80 per entry, considered really expansive compare to average earning to local income 100,000 to 200,000rel per month and the exchange rate was 3,500rel for $1USD, there weren’t many who could afford to play golf at that time that doesn’t count the need of the equipment so only high rank government officer, businessman and some tourist who could afford to go to the field. From mid 2005 golf becoming a popular sport to high rank government officers and Cambodia riches that because they believe golf is unique sport for business, by playing golf will help to create a business environment and opportunities where businessman can meet businessman, businessman meet government officer and other business activities, at the same time while Korean businessman start to move to Cambodia the rise of golf sport is on demand, therefore many driving-rang are open for business majority of them are in Phnom Penh city skirt.